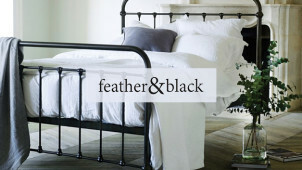 Enjoy 50% Off in the Spring Sale at DFS - Including New Collection! Your furniture and personal belongings is what makes a house your home, so don’t scrimp on the cheapest flat-pack option available. We’ve paired up with big names in home and garden to bring you the biggest and best discounts on high-quality furniture that will transform your home. Many of us don’t start investing in our own furniture until we are on the other side of twenty-five, because a large percentage are renting furnished houses and flats. Whether you’ve secured an unfurnished flat and are thinking about the expense of furniture for the first time, or you’re the proud owner of a family home where you need new desks for the children’s rooms to encourage them to do their homework; we’ve got furniture discounts to use on the huge range of furniture from local stores, large brands and department stores both in-store and online. Ensure you use a Debenhams discount code for top savings on your home goods. Don’t know where to begin? You can take advantage of large savings at all-round furniture warehouses like Furniture Village or Harvey’s, where you’ll be able to browse everything from living room to dining room to bedroom furniture in one place. If you’re starting from scratch, and looking at budget ways to fill your new flat in the city; a good solid bed, a wardrobe or chest of drawers, a sturdy table and sofa are good places to start. You are after all, going to use a bed every night when you sleep, so you’ll never regret investing in a good bed and a comfortable mattress. We’ve got furniture offers for participating bed experts such as Bensons for Beds, Dreams and Bedworld. With stores spread across the country, so you’ll be able to find the best savings on the key to undisturbed slumber every night near you.